Welcome to Healing House, where we offer a unique blend of integrative, holistic therapies to help you resolve your ailments and find your way to good health. One of the core therapies we offer is acupuncture. Here at our Scottsdale clinic, we find that our patients turn to this ancient medicine more than any other method to resolve their health problems. And for good reason — the results we get with acupuncture can be truly extraordinary. Patients who have never had acupuncture at Healing House before should schedule the First-Time Consultation + Acupuncture session. If you’ve had acupuncture here before, book a Follow-Up Acupuncture session. This session includes a 60-minute consultation with your acupuncturist, followed by a 30-minute acupuncture treatment. Prepare to be shocked and brought to tears – not by the needles, of course, but because you will finally get to talk to a medical professional who really takes the time to listen to you. Your acupuncturist will then guide you through a holistic solution to your health problems in way that actually makes sense. Please allow 2-hours total for your visit to allow for the insertion and removal of needles before and after treatment, as well as time for you to relish in the amazement at how much better you feel afterwards. When you make your first appointment to see an acupuncturist at Healing House, you’ll notice that it’s a very different experience than seeing your regular physician. The clinic itself is quite beautiful, and the relaxing music will put you at ease. Your wait time in the lobby is rarely more than five or ten minutes. Your friendly acupuncturist will introduce themselves to you and then dedicate 40-minutes to talking with you in private.They will ask questions about your diet, your lifestyle, your sleep, and your exercise habits. They will want to get to know you from a personal point of view – how are you feeling emotionally? How are your relationships? How is stress at work? Do you get much time to relax, to enjoy nature, or to meditate? Your acupuncturist will dig deep into your health questionnaire. To an acupuncturist, there is no such thing as putting a Bandaid on a problem. They will always seek out the root cause of your health issues. They’ll explain the way Chinese medicine works, and how it can work for you. They’ll formulate your plan for healing and recovery, and they will walk you through your plan in great detail, creating a report that will be emailed to while you’re sitting in front of them. And then you’ll get your first acupuncture treatment. You’ll be in your own private room, and you’ll be allowed to undress entirely to your comfort level. Most of the time, loose fitting shorts or yoga pants and a t-shirt are just fine. Your acupuncturist will first explain how acupuncture works, what you can expect, and make sure that you understand that you are in complete control of the process. At Healing House, all of our needles are surgical-grade stainless steel, and they are disposed of as medical waste after a single use. Your safety and comfort are our number one priority. As the needles go in, you may feel an odd tapping sensation. After they are inserted, your acupuncturist will gently wake your needles up through manual manipulation, which will cause you to feel a slight ache, tenderness, or a zinging sensation. Nothing too strong – this is not a “more pain, more gain” situation. Once the needles have been activated, you’ll find that they all calm down within a minute or two, and you’ll disappear into a deep level of relaxation. You’ll lie with the needles in place for 30-minutes. Our medical tables are extremely comfortable and heated, and the rooms are quiet except for the relaxing music playing softly in the background. You will have a buzzer in hand to make sure you can reach your acupuncturist at all times. Chances are, you’ll slip into one of the most relaxing naps of your life. And when you wake up, you’ll feel a whole lot better. Check out our two Membership options which can save you up to 34%! Your Follow-up Acupuncture session will include 20-minutes of consultation with your acupuncturist and a 30-minute acupuncture treatment. Please allow 1-hour total to allow for the insertion and removal of needles before and after treatment. Side effects of acupuncture may include being unable to stop smiling or telling everyone you know about how incredible your session was for several days. Should you experience these or other similar symptoms, please contact your physician immediately… and give them the card of your acupuncturist at Healing House in Scottsdale. Please note: This requires a First-Time Consultation + Acupuncture session before scheduling. In each follow-up acupuncture session, your acupuncturist at Healing House will take the time to assess your progress and make any adjustments to your protocol. They will answer any questions you have and make sure you feel good about where your health is headed. If you are feeling a whole lot better, great! We will continue to move you forward until you’re feeling satisfied, and then we’ll look at what your maintenance treatment program should look like, if any. If you’re not feeling better, or if you’re even feeling worse, your acupuncturist is going to problem solve with you until they figure out why. Usually, there’s an explanation, and there are adjustments that can be made to kick-start your progress. Sometimes, however, it means we need to refer you to another practitioner. It’s often the case the the combination of acupuncture and massage, or acupuncture and nutritional coaching can give just the right boost to your health. If we can’t solve the problem at Healing House, we will gladly give you the card of one of our trusted referral partners. What your acupuncturist at Healing House will not do, however, is continue to treat you week after week, month after month, without giving you the progress you were looking for. Our policy is this – if we aren’t getting the results you need, we will fire ourselves long before you do. Thankfully, that very rarely happens! Acupuncture is incredibly effective for an enormous range of health issues, and our results are usually nothing short of amazing. And as you keep coming back for treatment, you’ll probably notice that you feel considerably better with each session. You’ll start to look forward to that feeling of serenity and peace that washes over you once the needles are in. It’s the best nap in the world! And each time you get treatment, you’ll feel more and more comfortable, more used to the needles, and more happy with your results. That’s the typical experience at Healing House. That’s what we strive for at each follow-up acupuncture session. Zhang Fu Body Acupuncture is the most frequently used and most heavily researched form of acupuncture in the world today. This system utilizes hundreds of acupuncture points on the body – from the top of the head to the bottom of the foot, and everywhere in between. But don’t worry – we don’t needle all of them at once! 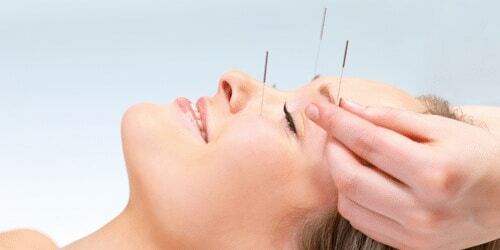 The typical acupuncturist employing Zhang Fu Body Acupuncture will needle around 10 to 30 acupuncture points in a session. These points generally fall along lines of energy often referred to as “meridians.” There are 14 major meridians that travel along the surface and at times through the interior of the body. Each meridian is associated with a major organ of the body, such as the stomach, heart, liver, kidneys, and lungs. In Zhang Fu Body Acupuncture, the acupuncturist uses specific points to stimulate a healing response within the organs by unblocking and improving the flow of Qi through the meridians. Acupuncture points are also used to reduce and eliminate negative factors in the body that restrict and damage the flow of Qi, such as Coldness, Dampness and Phlegm, Dryness, Heat and Inflammation, and Wind. 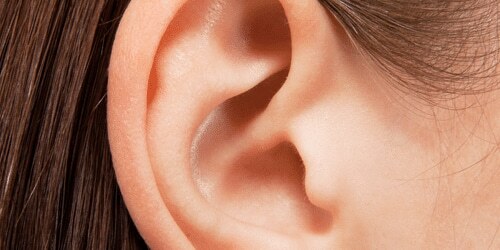 Auricular Acupuncture refers to the use of needles to stimulate the acupuncture points in the ears. The ears are a linked powerfully to our nervous system; they form a kind of map of the body that a skilled acupuncturist can use to diagnose and stimulate healing signals to the brain. The needles go in quickly, usually without a guide tube, and they do not rely on the meridian system as found in Zhang Fu acupuncture. Auricular acupuncture is very well known for its effectiveness in treating addiction and pain in the body. At Healing House, we utilize a scalp acupuncture technique developed by the world famous acupuncturist, Dr. Ming Qing Zhu. In this system, we insert very fine needles into the scalp in zones that relate to various parts of the body. It is a painless technique when done correctly. This method of acupuncture is quite versatile, allowing us to treat a patient in a comfortably seated position, fully clothed, and at any age of life, for virtually any condition. However, this technique is most especially known for it’s marked effectiveness in treating various neurological disorders. Many people have seen videos of near miraculous results achieved using this modality, and they expect the same results when they arrive at our clinic. Well, we try not to disappoint! The reality is, we can often get truly remarkable results using all of the systems of acupuncture we offer at Healing House, but Zhu’s Scalp Acupuncture is perhaps the most reliable in its effectiveness. Five Element acupuncture involves understanding how the organs, meridians, and points of the body talk to each other according to their association with one of the five elements. 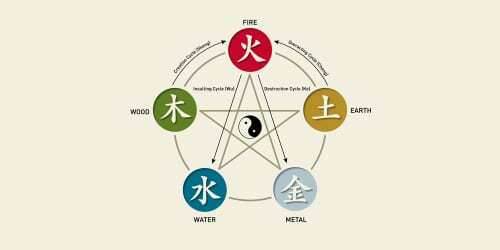 In Traditional Chinese Medicine, the archetypal elements are as follows – water, wood, fire, earth, and metal. A skillful acupuncturist can understand how the elements generate and control each other, and they know how to use the acupuncture points to tonify or sedate the elemental forces in the body to create harmony and resolve illness. This subtle techniques requires very few needles, (typically just four), and can be accomplished in a comfortable seated position. Our acupuncturist in our Scottsdale clinic, Muki Ramsey, L.Ac., Dipl. O.M., is particularly fond of this powerful methodology, having written his Master’s thesis on the psychological and spiritual implications of five element theory. Be careful – if you get him started talking about it, you might get quite the earful! We’ve Got the Happiest Patients in Scottsdale! I’ve had acupuncture treatments for an injured right shoulder, but when I moved to AZ I didn’t know where to start in finding a clinic. My daughter gave me a gift certificate to Healing House. On the day of my appointment, my right shoulder was acting up, thus also giving me a headache. I had actually been in pain for days, but after the treatment found immediate relief. I found my clinic! 10/10 recommend. Muki made me feel very comfortable even though it was my first time getting acupuncture. We also had time to talk through all the health issues and what I wanted to improve with acupuncture. Left feeling great, armed with a ton of knowledge, and I can’t wait to go back! Save 34% Off Acupuncture at Healing House! If you’re new to Healing House, come try any one of our services at 34% off. The best answer would be: “Sometimes it does— but not very much.” Occasionally a patient will feel a very light pricking sensation as the needle enters the skin. Most of the time, however, they will not feel the needle enter at all. The needles are just so tiny and thin. In fact, they are only about twice the thickness of a human hair. At Zen Medicinals, we often have patients who suffer from a mild needle phobia. Muki just tells them to relax and close their eyes. After he has already put in several needles, they often tell him: “Okay, you can start now.” So it really is a very mild sensation, and it often goes completely unnoticed. After the needle is in the body, your acupuncturist might stimulate it a little. This is called “Gathering the Qi,” and it is how your acupuncturists activates the healing response in the body and gets the Qi moving in the right way. This stimulation can result in a strange, “zinging” sensation. It feels different from point to point and person to person. Some people feel a tingle, others feel a strong pulse of movement. Some people feel a heaviness or pressure, and others feel nothing at all. At Zen Medicinals, if you are just too frightened of the needles to give them a try, you can always request an herbal and nutritional consultation instead. It depends! In general, we get very rapid results. Most of our patients are in and out within 3 to 10 sessions. However, the truth is, there’s really no way to know how long it will take to get you better. Each individual heals at a different rate, depending on their overall health, their age, their diet, their work environment, and a huge number of other factors. And each health condition is completely different. Some conditions are usually quite easy to resolve – a stiff neck, a sore elbow – and some can take a lot more work – rheumatoid arthritis, recovery from a stroke, or something of a more chronic nature. A general rule of thumb is that the longer you’ve had the condition, the longer it will take to resolve it – but even that isn’t a fair generalization. But we will do our best to give you an idea of how long we think it will take to get you better as soon as we can get a sense for it. Once Muki has had a chance to talk with you and treat you a few times, he can generally see how your body is responding, and he’ll give you his best guess. But it’s only a guess! Don’t hold him to it. One thing we can say for certain is that we will work as hard as we can to get you better as quickly as possible. As much as we love our patients, we don’t want them coming back! We have the philosophy that if we get you better as quickly as possible, you will go out and refer us business a lot more enthusiastically than if we drag your treatments on and on with little or no results. That’s not only a terrible way to do business, it’s a terrible way to treat your patients. It’s the exact opposite of how real medicine should work, and we won’t do it – ever. Yes, it does! The Chinese people have used acupuncture and herbal medicine for thousands of years, and with great success. In fact, TCM is the most commonly used alternative medicine in the world today. In China, there are hospitals in every major city dedicated solely to the practice of Traditional Chinese Medicine. Muki has spent time interning at one of these hospitals (in Chengdu), and the healing that he saw take place there was astounding. In fact, Muki himself is a living testament to the effectiveness of acupuncture. Muki used to suffer with pains in his legs, shoulders, and arms every single day. That pain (along with all of his other ailments) has now been completely resolved, thanks to this wonderful medicine. You can read more about Muki’s own path to healing on his Bio page. Muki’s patients also get wonderful results— please visit the Testimonials page to read what they have to say about how acupuncture has changed their lives. But you don’t have to take their word for it, or Muki’s— there is plenty of very compelling research being done on the effectiveness of acupuncture at famous health, government, and educational institutions all over the world. You initial visit includes a 60-minute consultation and a 30 minute acupuncture treatment. Since there can be additional time required for filling out paperwork and checking you out, we suggest setting aside 2 hours for your initial visit. Your follow-up visits will include a 15-minute consultation and a 30-minute acupuncture treatment. We recommend setting aside an hour for your follow-up visits to allow for check-in and check-out times. What Happens After Your Acupuncture New Patient Special? After your special, receive a one-hour massage, custom facial, follow-up nutrition, cupping & gua sha, or moxibustion for only $49.50 per session! Our Wellness Membership Program gives you a huge menu of holistic services at a discounted price.